In the past few months I’ve been consumed with writing about identity. Often it seems the more I read the less I know, but I carry on despite my deficits. That means identity is fluid and malleable, subject to the influences of self and society. Scholars tackle identity from two main tracts: an individual, micro-level and the societal, macro-level. The intersection of the two tracts provides the richest area of study but is arguably the most difficult to measure. I’ve been writing at the more macro-level, taking a look at how mass media depictions align with identity constructs, and I’m surprised that the dialectic is so immutable. American Indian identity in discourse continues to reflect the divisions of the civilized and uncivilized, colored by fabrications of Native people. 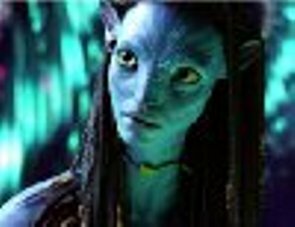 A trenchant example is the film Avatar. We know it’s a film, a fantasy; that the indigenous people are an invention—a mash-up of American Indian and African caricatures that came to the writer and director in a dream. But viewers must make connections between the cartoons on screen and the Indians of their childhood textbooks, because it’s the fallback association in our mental toolbox. In truth, much of the media discourse about Indians has been fabricated, and James Cameron’s film is one more log on the fire. Inventions have been created out of the desires of conquest. Such desires included the materiality of property and the promise of prosperity, all desires intimately coupled with the denizens who were depicted as barricades to progress. And while contemporary theories of social identity embrace the fluidity of its construction—identity is conceptualized as continually adjusting to a shifting landscape—the case of American Indians illuminates how mass mediated narratives are stuck like a gramophone needle in an old 78, and the riff repeats endlessly. This entry was posted in authenticity, cinema, film, framing, Indian, news bias, Uncategorized. Bookmark the permalink.